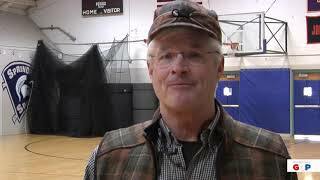 Senate Majority Leader Mike Shirkey encourages everyone to take part in March is Reading Month. 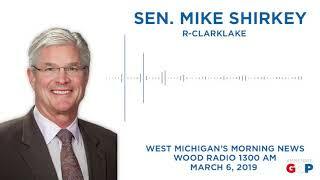 Senate Majority Leader Mike Shirkey reacted to Gov. Gretchen Whitmer's budget proposal on WOOD Radio on March 6, 2019. 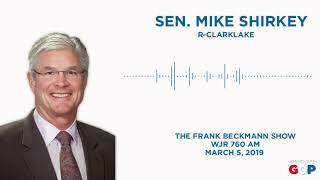 Senator Mike Shirkey spoke with Frank Beckmann on WJR 760 AM about Gov. Whitmer's budget proposal on March 5, 2019. 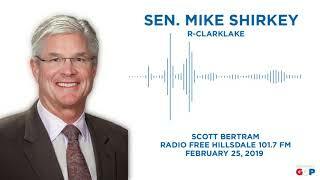 Michigan Senate Majority Leader Mike Shirkey appeared on Radio Free Hillsdale with Scott Bertram on Feb. 25, 2019. 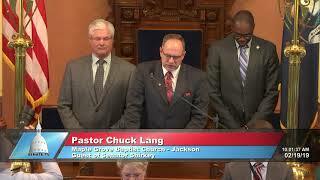 Senate Majority Leader Mike Shirkey welcomed Pastor Chuck Lang of Maple Grove Baptist Church in Jackson to the Michigan Senate to deliver the invocation at the start of the Feb. 19, 2019 session.